Elections can be shots in the barrel of darkness. Polls can prove the poorest of measures, masking expediency, calculation and, in the end, sheer desperation. The voter finds form just before casting the ballot. The mind can take leave of its senses. The psychology of vulnerability can prevail. The Israeli elections of 2015 will be a textbook example of fear fastened to a mast of glaring despair. If ever politics could be dismissed as the practice of dismissal and loathing, this election must be it. Benjamin Netanyahu’s contemporary practitioners of those dark arts – Canada’s Stephen Harper, Australia’s Tony Abbott, and Britain’s David Cameron, were made to look amateurish, mere adolescents in their uses of narratives of doom. Not since the days of the carnival-like Bush administration, when fear had the currency of gold, did we see anything like this in the context of a nominally democratic society. “Every so often,” as the late Robin Williams reminded us of the former US Secretary of Defense, “Rumsfeld comes out and goes ‘I don’t where, and I don’t know when, but something awful’s going to happen. That’s all for today. No further questions.” That is the language of Homeland Security, Stasiland and police paternalism. It is the lingo of the wall and the garrison state. It came down to the last, tight days. The polls were always going to be hard to read – a recent Israeli law prevented pollsters from earning their keep from Thursday on. This laid the ground for the speculative and daring, though Netanyahu’s opponents were taking stock about readings that showed up to 60 percent of Israelis did not want him to continue in office. Last Friday, it seemed that Yitzhak Herzog’s Zionist grouping would lead by four seats. Yesh Atid party leader Yair Lapid provided the fiery summation prior to the polls. 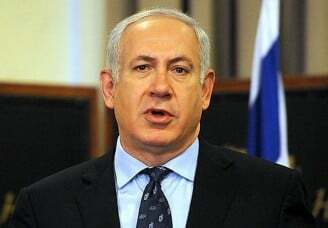 Netanyahu had acted in merciless self-interest, calling “unnecessary” early elections to spite the constituency. “Why? Because you are disconnected. You have no idea what it does to the citizens of Israel because you live in your aquarium and for a long time you don’t know who the people are and what really troubles them” (Jerusalem Post, Mar 12). In an effort to push voters back into the Likud fold, Netanyahu of the aquarium employed rhetoric that was heated, spiced, and flamed. “It was,” observed Gaid Wolfsfeld of the Interdisciplinary Centre in Herzliya, “a scorched earth policy to stay in power” (New York Times, Mar 17). It’s singeing character involved an assortment of nightmarish scenarios about race – what will those Arab Israelis do to the voting numbers? The main party representing Israeli-Arabs, United List, was condemned as an extremist outfit. Herzog’s grouping were excoriated as effete, cuddling up to sinister foreign forces. Then came that most Machiavellian of plays – the issue of recognising a Palestinian state. For Netanyahu, pitching in those last desperate hours against the very idea was the gamble of gambles, suggesting that the peace process was not only a shambles, but a dead shambles. The strongman was refusing to yield to any prospects that might let insecurity via Israel’s vulnerable backdoor – Palestinians could not be trusted with either sovereignty or security. Before Fox News, the new Netanyahu showed very much what the old Netanyahu thought. “I said we have to change the terms. Because right now, we have to get the Palestinians to go back to the negotiating table, break their pact with Hamas, and accept the idea of a Jewish state.” In an atmosphere of duplicity and pervasive double-think, a Likud deputy-foreign minister such as Tzachi Hanegbi can make a statement that Israel “would be very delighted to renew negotiations” with the Palestinians. Naturally, blame them for intransigence – they merely have nothing to negotiate with. Even US State Department spokeswoman Jen Psaki would say in a somewhat undiplomatic tone that the Israeli Prime Minister had chosen to remain vague and inconsistent on the issue. “If he had consistently stated that he remained in favour of a two-state solution, we’d be having a different conversation.” The Obama administration has promised a strategic “rethink” regarding the two-state solution stance, but is hardly going to move beyond the state of current stagnation. Israel can’t be the ritual absentee in this matter. The connoisseur of hopelessness won, but the costs of that victory will be telling. The insistence by Netanyahu to place Israel in a parallel stream of political consciousness, a garrisoned world ironically ghettoised and repellent of international convention and diplomacy, is finite in its realisation. It could also prove fatal.